Use this colorful program cover to indicate the order of events and names of participants for your kindergarten graduation ceremony! 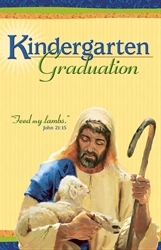 The design of the front of the program features the Good Shepherd, holding a lamb, coordinating with the other shepherd-theme graduation materials. The back repeats the “Feed my lambs” verse from the front, along with a lamb’s profile. The inside is solid white, ready to be printed with your ceremony details. This program is shown folded (8½" x 5½"), just how your guests will see them. 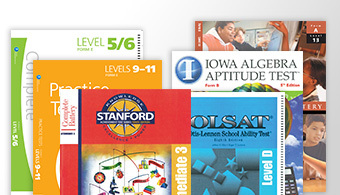 Program covers are packaged in a flat 8½" x 11"size, making it easy to fit inside your printer. 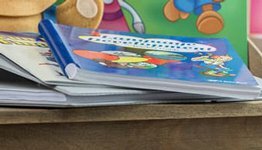 Sample set of all the graduation supplies with a shepherd theme is also available for purchase as is our set with a children theme. 25/pkg.